Andrea joined the Gartsides Criminal Department in 2013 having transferred from a local firm of solicitors. She quickly became an integral member of our Criminal Team and is now a Partner of the practice. Having attained a First Joint Honours Degree in Law and Spanish at Swansea University, Andrea successfully completed the Legal Practice Course at Cardiff Law School where she attained a Distinction. Andrea immediately went into practice as a trainee solicitor with a passion for publicly funded (Legally Aided) work and has continued to do this since her qualification in 2005. She has become an established criminal advocate specialising in all aspects of Criminal Law representing clients on a daily basis both at the Police Station and at Court. Andrea is a qualified Court Duty and Police Station Duty Solicitor who represents defendants of varying ages specialising, in Youth Court Practice. Andrea has a particular interest in dealing with young persons and those cases where the client has a physical or mental impairment or is otherwise vulnerable. Andrea recognises that the Criminal Justice System can be incredibly daunting and sometimes an intimidating arena for vulnerable persons. Andrea prides herself in having a work ethic of only doing the very best for the clients she represents. Her main aim is to deal with clients in a straightforward and approachable manner. Andrea has a particular interest in advocacy and very much enjoys being 'on her feet' in any Court. 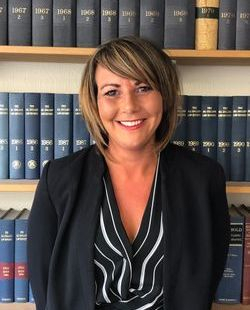 Andrea has a solid understanding of the law which is ever evolving and will be able to provide accurate, honest advice and representation in any matter that the client has. Andrea is a fluent Spanish speaker having studied at Murcia University in the South of Spain.